DULUTH, Minn. (June 2017) – The Duluth office of Kraus-Anderson Construction Company (KA), one of the Midwest’s oldest and largest commercial general contractors and construction managers, has begun construction on the new St. Luke’s Chequamegon Clinic located next to 2101 Lakeshore Drive, Ashland, Wis. on the shores of Lake Superior. DULUTH, Minn. (June 2017) – The Duluth office of Kraus-Anderson Construction Company (KA), one of the Midwest’s oldest and largest commercial general contractors and construction managers, has begun construction on the new St. Luke’s Chequamegon Clinic located next to 2101 Lakeshore Drive, Ashland, Wis. on the shores of Lake Superior. Designed by DSGW Architects, the 22,000-square-foot clinic will feature lakefront views throughout the building, a covered drop-off location for patients visiting the clinic and ample parking. A variety of medical services will be provided at the clinic including family medicine, general surgery, neurosurgery, obstetrics and gynecology, orthopedics and sports medicine, and physical therapy. The clinic is expected to open in the spring of 2018. 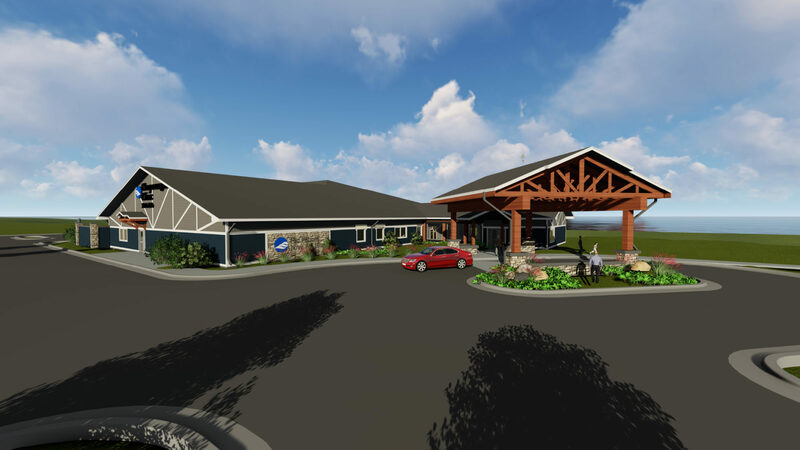 St. Luke’s is a regional health care system serving approximately 500,000 residents of northeastern Minnesota, northwestern Wisconsin and the western Upper Peninsula of Michigan. It includes a multi-specialty hospital in Duluth, a critical access hospital in Two Harbors, and 38 primary care and specialty clinics throughout the region, plus Urgent Care and Q Care Express Clinics. It is a charter member of Wilderness Health, a regional health care provider collaborative working to improve patient quality and outcomes. Additional information about St. Luke’s and its services is available at www.slhduluth.com. Established in 1897, Kraus-Anderson (www.krausanderson.com) is one of the nation’s premier commercial general contractors and construction managers, which has been leading the charge in sustainable design and construction for the last 20 years. With deep experience in healthcare construction, the company is currently ranked 12th in the nation among the top health care general contractors in the U.S. by Modern Healthcare magazine.